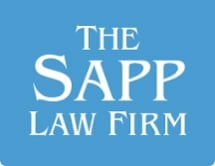 At The Sapp Law Firm, we are committed to making a positive difference in the lives of our clients. We are a plaintiff's personal injury firm focusing on personal injury, workers' compensation and Social Security Disability. Our mission is to help people who have been injured or disabled obtain the compensation they need to move forward in their lives with a renewed sense of security. In our personal injury practice, we help people who have been injured by the negligence and wrongdoing of others. We handle all motor vehicle accident claims as well as most general negligence claims. In our workers' compensation practice, we help workers who have suffered a work-related injury or illness. Workers' compensation is a no-fault insurance system that provides wage benefits and medical benefits for injured workers. In our Social Security Disability practice, we help people whose ability to work has been impaired by a physical or mental disability. Social Security Disability benefits are available for people with a qualifying disability that is likely to impair their ability to work for at least 12 months. Each case at our firm is personally managed by attorney Jonathan Coleman Sapp, a skilled negotiator and trial lawyer who is committed to aggressively pursuing the full compensation his clients deserve. Jonathan has extensive experience acting on behalf of injured clients in personal injury, workers' compensation and Social Security Disability cases. In fact, he has represented more than a thousand injured and disabled clients. To contact our firm about a personal injury, workers' compensation or Social Security Disability claim, call 205-282-4467 or toll free at 888-821-0531.